Happy New Year everyone! Anyone doing anything fun? 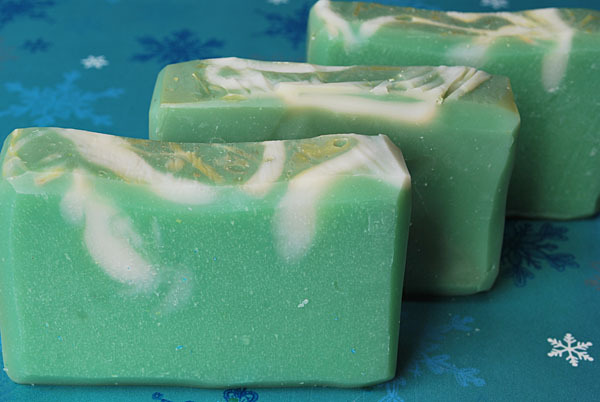 So I decided Walk in the Woods was the best name and two people suggested it so two of you win a free bar of soap! Audra MacIsaac and Kakers are the winners! My goal for next year is to be more organized with my records so I don't pull my hair out at tax time! So now that the holiday rush is almost over(that is why I haven't posted in ages). 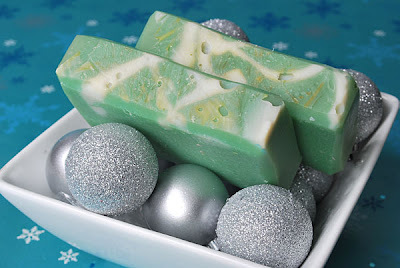 It is time to find a new name for the Mistletoe soap so I can sell it year round. For those who haven't smelled it I would say it is almost like a pine scent. "The complex woodsy notes of mistletoe fragrance oil blend perfectly with the light wildflower scent to give the fragrance amazing depth. This lovely 'stroll through the woods on a cool Autumn morning' fragrance is a beautiful pine with greens and a barely-noticeable drop of spice for warmth. This combines perfectly with evergreens, blue spruce, holly, green ivy and dewy ferns." So help me rename it! I will give away a bar of soap of your choice if your new name is picked.